Pundit Jermaine Jenas believes that Tottenham defender Danny Rose is definitely heading for Man Utd this summer in a possible £50m+ deal. 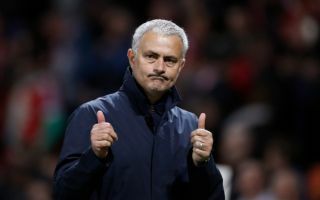 Jose Mourinho undoubtedly has an issue in that position, as he seemingly hasn’t got the faith in either Luke Shaw or Matteo Darmian to play in that role. Instead, stalwart Ashley Young has been played out of his natural position, and in his defence, he has done a decent job filling in there but can’t be considered a long term solution. In turn, a move for a natural left-back seems a certainty for Man Utd this summer, and Jenas believes that Rose to Old Trafford makes plenty of sense along with Shaw moving in the opposite direction and has even given an idea of how much he values the former at. “I think it’s nailed on that Mourinho will get Rose this summer and the smart deal would be for Luke Shaw to go in the opposite direction,” he wrote his GQ column. Shaw has struggled with injuries, poor form and public criticism from his manager over the past two years, and having shown so much promise during his spell with Southampton, he will surely be itching at the possibility of a fresh start elsewhere to kick-start his career again. Particularly if Rose does arrive at Man Utd this summer, which would in turn push him further down the pecking order, an exit from Old Trafford will have to be considered. As for Rose, the 27-year-old has been limited to just 14 appearances this season, but perhaps following Walker’s lead, a move to Manchester to compete for major honours could be an appealing option.